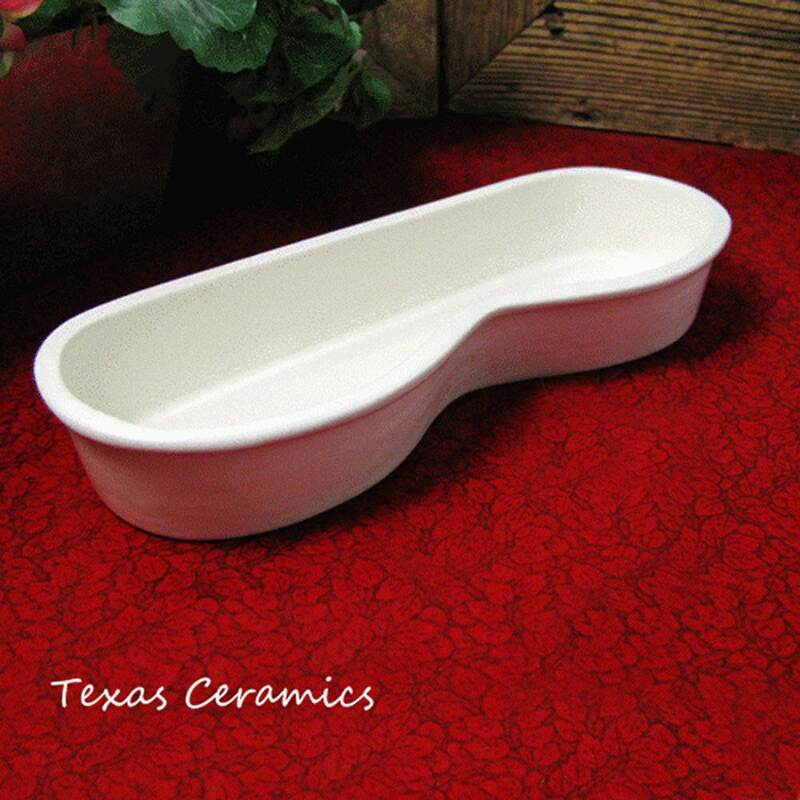 This ceramic eyeglass tray has a contemporary style and is finished in a solid white glaze. 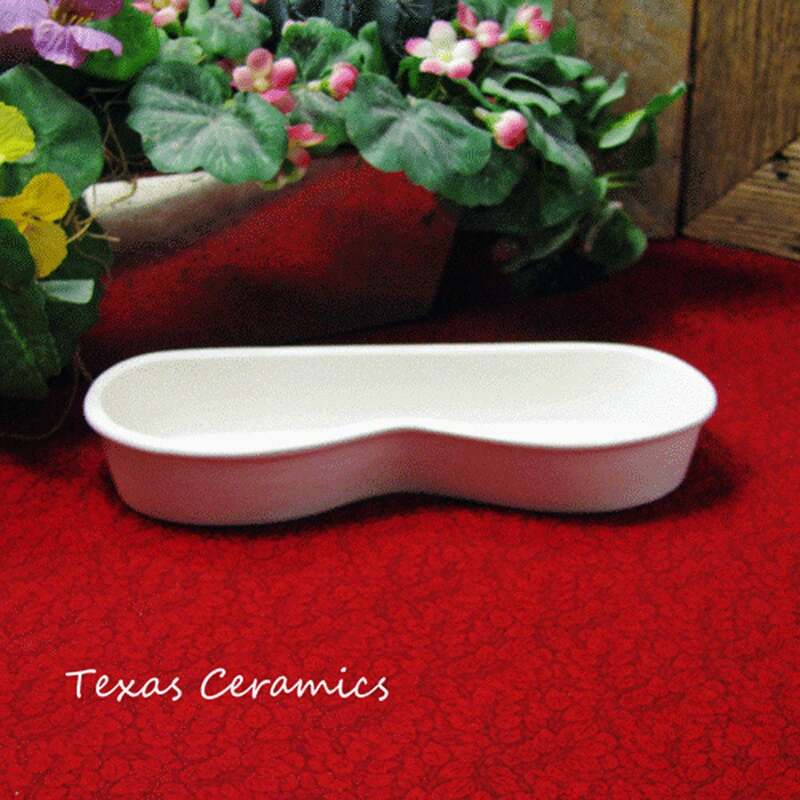 The shape of this eyeglass tray is modern and trend setting, and best of all will help keep reading glasses safe and handy. Eyeglass holders or trays make your eyeglasses easier to spot and help you keep them from getting damaged or scratched. 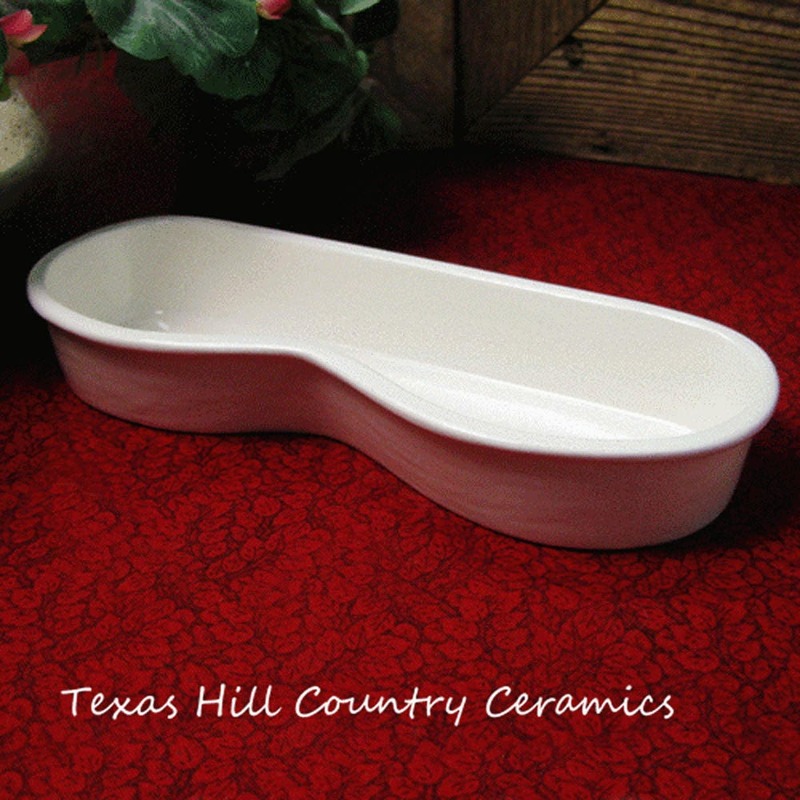 This tray is made of slip cast ceramics using a plaster mold for uniformity and kiln fired. 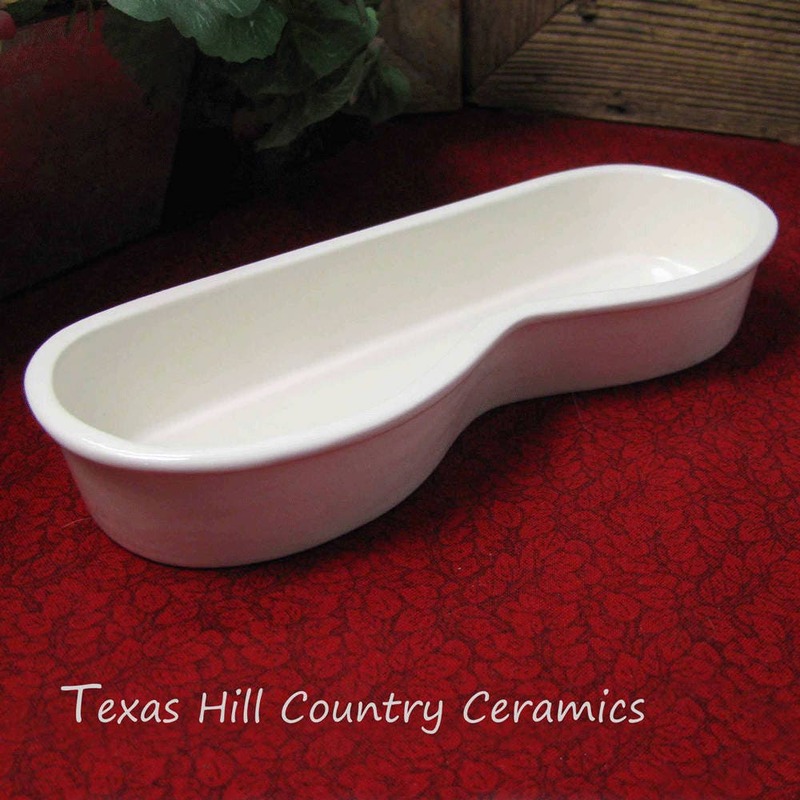 Each eye glass holder is glazed in a non-toxic white glaze with black spots. 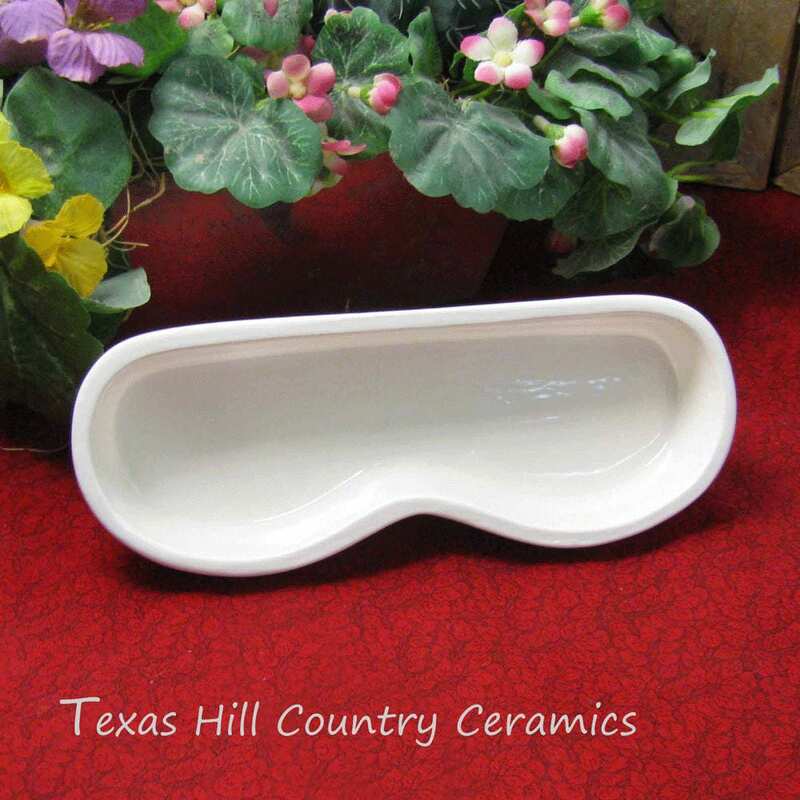 This eye glasses tray with its sleek modern styling will safely hold eyeglasses on the table next to your favorite chair, night stand or desk top. It is dishwasher safe. Made in the USA.